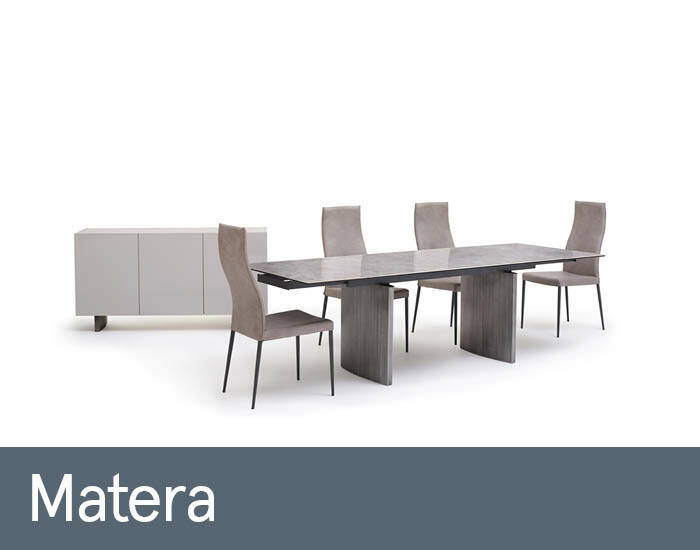 Matera is a sophisticated collection that will make a welcome addition to any modern dining or kitchen space. The luxurious, high gloss grey patterned ceramic tops make a real designer statement. Complementing sculptured twin bases, finished in brushed pewter, help to bring the set together. The sleek high back curved chairs are ideal to pair with the extending dining table. This stylish range has also been designed with practicality in mind, with soft close drawers and wipe-cleanable surfaces.